Our Hotel has been renovated to high modern standards, with private shower and toilet, new beds, hot spot internet access, and first class accomodations for up to 60 persons. Note that we offer special rates for stays of 5 nights (or more) and also for groups of 12 or more persons. You will find us useful for organizing conferences, family reunions, business meetings, and receptions for you. In addition, the Ferenc Liszt Conference Center is only a short walk away. (200m). 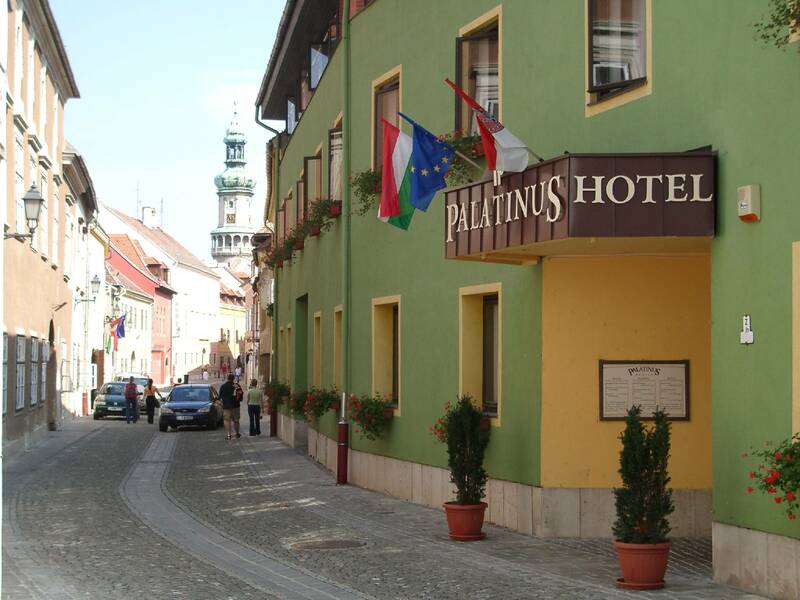 We also offer, in addition to our free breakfast buffet, a special discount menu for luncheons and dinners at the Sopron’s premiere restaurants – short walk from the hotel. If you have need to locate English-speaking dentist or doctor, we can offer recommendations. Our friendly staff is available 24 hrs at your service. Our services: smoking / non-smoking rooms, security safe, wake-up service, drink-bar, private parking, telephone and internet in lobby; Hot Spot Wireless access (in your room); car renting, theatre and concert ticket ordering, and trip planning (such as from Schwechat to Sopron). We make every effort to offer you deals that are the most suitable to your needs and meet your expectations while accommodating your possibilities. We have always tried to provide deals that meet the above criteria through our regular seasonal packages that offer great savings with extended services. While we want to continue to provide you with these great specials, we would also like to expand our deals to provide greater choices to our valued Guests. We are now introducing our newest deal, the special that is well known from "discount" airline deals, the individual pricing option, which in most cases, offers significant savings compared to regular prices. Try it now! At our reception, inquire about our prices for the time period of your preference and let us surprise your with our best offer! 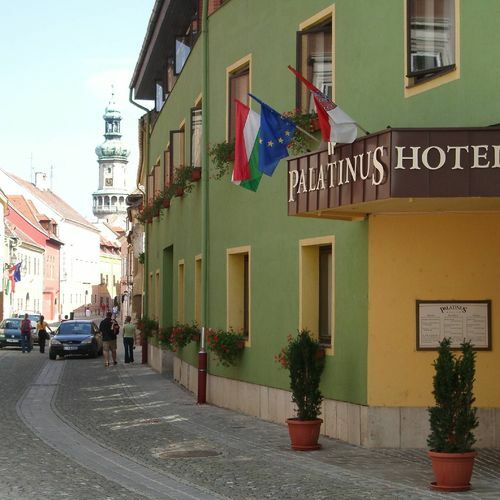 The rating of Hotel Palatinus Sopron is 9 from the maximum 10, 432 based on actual and valid guest ratings and reviews. "Hangosak voltak a velünk egy időben ott megszálló fiatal kosárlabdás lányok. A fürdőben nem volt zuhanyfüggöny, így a víz szétfolyt a padlón." "A reggelivel kapcsolatban szeretném megemlíteni, hogy a felszolgált zöldségek, kiváltképp a paradicsom minősíthetetlenül rossz volt."